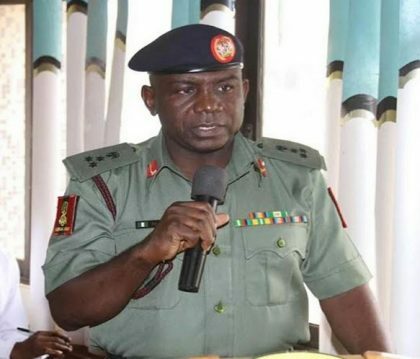 Director General of the National Youth Service Corps (NYSC) Maj-Gen Suleiman Kazaure, has appealed to the Kaduna State Police Command, to ensure the safety of corps members in the forthcoming general elections. Kazaure, who made the appeal when he paid a courtesy visit to the Kaduna State Commissioner of Police, Ahmad Abdulrahaman, on Monday in Kaduna, pointed out that the 2019 elections were around the corner and Corps members would be involved. “We are here to secure your support in the protection of the corps members. You know they are national assets and need protection before, during and after the elections,” he said. Responding, Commissioner of Police in the State, Ahmad Abdulrahaman, assured the NYSC boss of maximum security for the corps members. “As you rightly pointed out, I want to add that corps members are not just national assets, they are the future of the country that must be protected. “I promise you that we are going to give them close marking in terms of protection. “Apart from the official attachment, there is also personal relationship with NYSC, so, I want to assure you that we are going to give them more potection this time. The NYSC boss, while addressing the corps members at Ahmadu Bello Stadium, Kaduna, advised them to show high level of integrity, patriotism in the forthcoming elections. “On February 16, you will be going out for Presidential and National Assembly elections, two weeks after, you’re going for another exercise, as graduates, there is need to display high level of integrity, patriotism in all that you do. “He urged them to be neutral and non-partisan during the election. “Please try to do away with anything that will implicate you. Shun every form of material or financial inducement. “Do not take anything from anybody and don’t take part in any unlawful activities. Stay in your environment and always be in your uniform and identity card. “Your phone should be fully charged and have enough airtime to call, make sure you spare yourself first if there is problem anywhere and forget about any property. He urged them to go to the nearest security officers if there is any form of crisis in their environment.